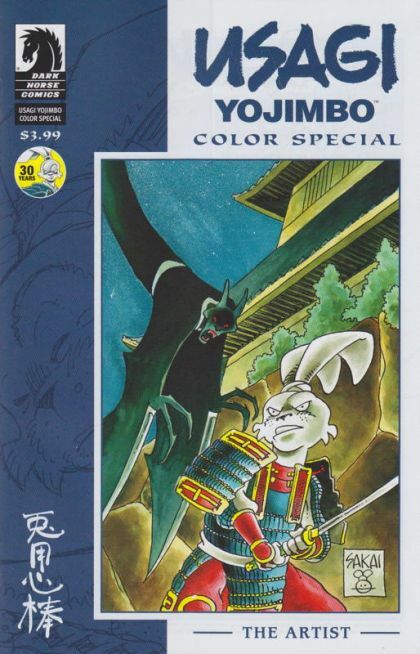 The artist of 47 Ronin returns to his signature creation in a new one-shot collecting four Usagi Yojimbo tales in full color, from the pages of Dark Horse Presents and MySpace DHP! In this issue, Usagi encounters ghosts, thugs, pumpkins(?! ), and a foreign artist with a price on his head! Collects 'Saya,' 'Buntori,' 'The Artist,' and the much-lauded 'Cut the Plum'! Collects stories from Dark Horse Presents #7, #35, and #36, and MySpace Dark Horse Presents #18 and #35! o 32 pages of color stories and a perfect entry point for new readers! 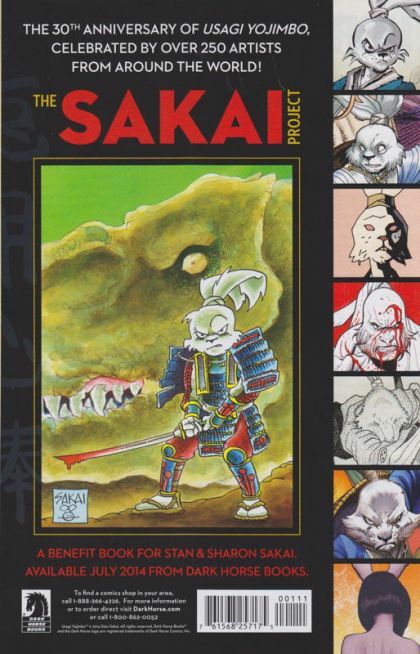 o Contains a preview of Usagi Yojimbo: Senso #1!